English: Rum Berry, Gin berry, Orangeberry. Hindi: बन निम्बू - Ban nimbu. 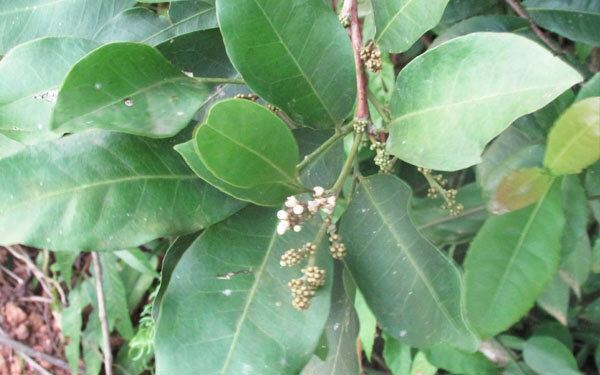 Ash Sheora or Ban Nimbu-Glycosmis Pentaphylla is an evergreen shrub or small tree, found in Western ghats, throughout Kerala and grow as a weed in the plantations, plane lands, pocket forests etc., branching, grows up to 3.5 meters in tall, bark is smooth and dark brown. The leaves are simple, oblong-ovate imparipinnate, and alternate. Flowers are small, white, occurring in leaf axils as clusters. Fruits are berries, 1 cm across1 cm across, pulpy, globose, pink colored, seed single. The flowering and the fruiting period is October to May. 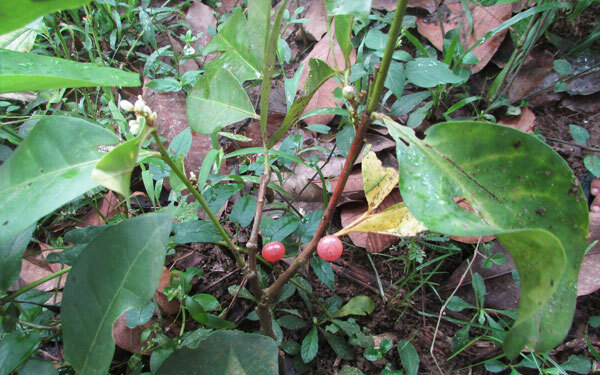 The fruits are edible so it is cultivated for fruits. To treat headache, poisons, wounds etc.